Temperatures can fluctuate wildly depending on the location, elevation and weather (even during the same season). In order to deal with such environmental variations when choosing your clothing it is important to consider the layers you will wear. The basic method is to start layering from the outside in. The outer layer should be able to stand up against the elements, such as wind and rain, and protect the body. The middle layer should retain heat. 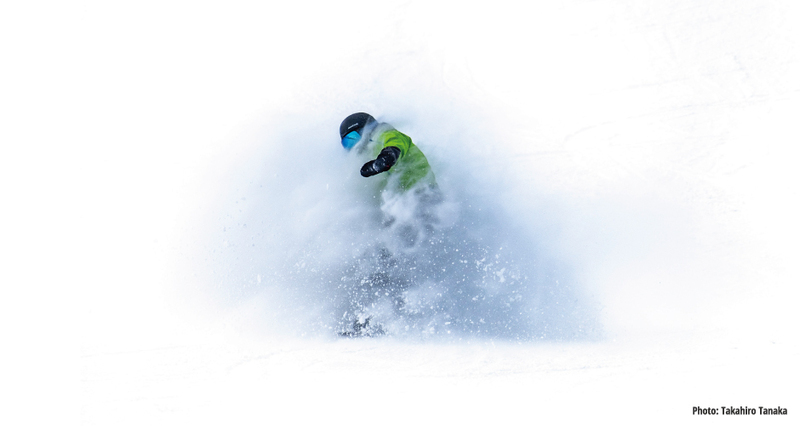 The base layer should cling to the body and maintain body temperature. The trick to layering is to properly understand the characteristics and function of each layer. However, even with a proper understanding, if you wear too many layers, say 4 or 5, you may end up hindering your ability to move. 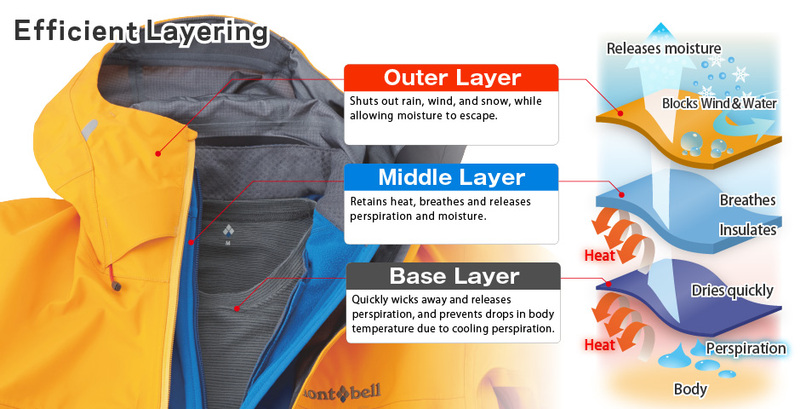 The goal is to minimize layers to preserve your ability to move and choose efficient clothing for each layer. It is very important that you wear at least a base layer to provide heat retention and an outer layer to protect you from the elements. Consider middle layers as simply providing support to the functions of the base and outer layers. In particular, since base layers come in various materials and thicknesses, selecting the most suitable base layer to fit the situation will greatly improve efficiency. 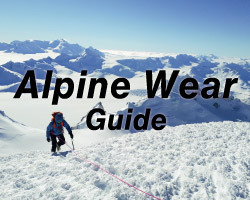 For more Alpine Wear see our "Alpine Apparel Guide" page.